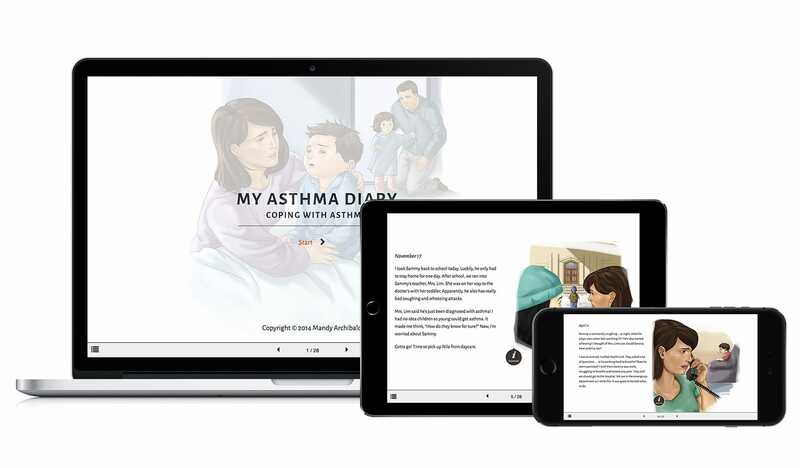 The University of Alberta approached Tactica to develop and test an arts-based educational tool for parents of a child with asthma. We created an interactive eBook and website that could be delivered to parents digitally through desktops, tablets and smartphones. The interactive experience shows users exactly what to expect as they deal with asthma from diagnosis to treatment. 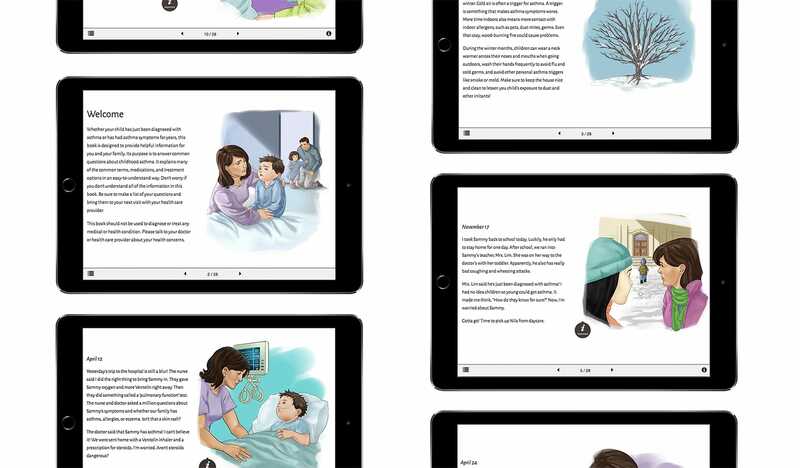 The eBook is fully illustrated in storybook format making it accessible to parents and children so they can learn together. The resource is based on research evidence from a qualitative research study and published literature on pediatric asthma management. We re imagined the books in an interactive digital format to improve distribution (parents can access them online from any device) and to more effectively evaluate their effectiveness. As part of the evaluation process we integrated analytics to show us how parents used the eBooks and designed a survey to capture their perceptions about the experience. The interactive eBook and website were successfully delivered. They’re currently undergoing evaluation through the Faculty of Nursing at the University of Alberta. The Faculty of Nursing at the University of Alberta is one of the largest nursing faculty’s in the country, and unique as the only Canadian member of the National Hartford Centers for Gerontological Nursing Excellence.